Fabulous Florals is committed to providing the finest fresh-cut wholesale flowers by the bunch, in assortments, wedding flower packages and individual varieties. We ship single bunches and bulk flowers to anywhere in the United States and Canada, for large events or smaller, intimate occasions. Fabulous Florals is your go-to DIY flower store for weddings and all of your special events, from birthdays to anniversaries and holidays. We provide gorgeous, inclusive wedding flower packages with pricing for any color palette. Don’t see your specific wedding colors? Just ask! We are happy to help! At Fabulous Florals every order is custom packed for you. 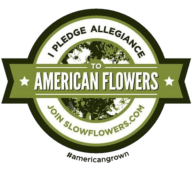 Unlike other online flower companies, we ship all orders from our own facility in Southern California to all fifty states to ensure you receive the quality we guarantee. All of our DIY Wedding Flower Packages are available with FedEx priority overnight shipping and Nation Wide- Unites States and Canada delivery. We deliver to Canada via FedEx Priority International! Please email your wishlist to info@fabulouflorals.com along with your postal code for a customized shipping quote! A mandatory Agriculture Inspection fee will be applied. The Fabulous Florals website is designed to help you find all of the flowers you need for your special day. You can easily search by color, flower variety and name. Check out our DIY Wedding Flowers page for helpful design and floral care tips and inspiration! This is going to be easier than you think!